October 12, 2018 5:47 pm. Trainer Kris Lees is looking for a big performance from Gem Song (r) in the Caulfield Guineas. Kris Lees holds a strong hand in the Group One Thousand Guineas with two of the favourites and the Newcastle trainer is not discounting his chances in the $2 million Caulfield Guineas with Gem Song. Lees has Smart Melody and El Dorado Dreaming in Saturday’s Thousand Guineas for fillies at Caulfield while Gem Song makes his Group One debut in the Caulfield Guineas. And while Lees has seen more than enough from the Chris Waller-trained The Autumn Sun to know he is clearly the horse to beat in the Caulfield Guineas, the trainer expects Gem Song can run a big race. Gem Song has won three of his five starts in Sydney and is yet to miss a top three finish. 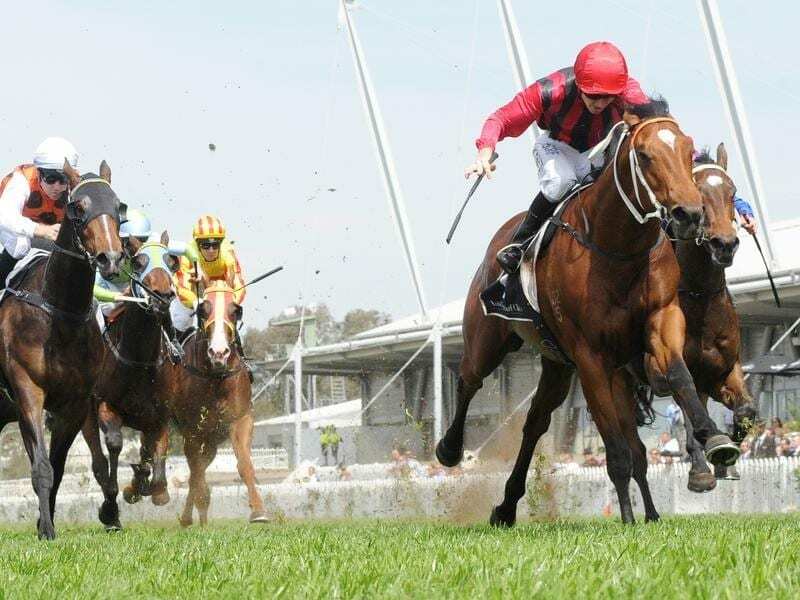 The colt made his stakes debut in the Listed Dulcify Quality (1600m) at Randwick last start and let down strongly under top weight of 59kg only to be chased down late by Mickey Blues Eyes and go down by a short half-head. “He probably couldn’t have gone much better,” Lees said. “He got back a bit further than we expected but he really let fly and it was just one horse with a six-kilogram pull in the weights who was able to get up through the middle of the pack and beat him on the line. “Having had that run at the mile he’s made the right progress and held his form. The Autumn Sun has already won two Group One races from his first five starts and was the $2 favourite on race eve. Gem Song, to be ridden by Craig Williams from barrier 11, was at $14. “If he can get over to the right spot – I’d like to see him settle a little closer than the other day – that gives him a chance,” Lees said.